We’ve redesigned charts and visualizations to give you more control over the look, feel, and functionality of your performance data. What happens when you allow a marketer to create a more consolidated view of performance without needing to manipulate data in spreadsheets or design reports in slide decks? And what happens when you allow them to do that quickly? The new colorful @databoxHQ data blocks are lighting up our workspace and giving me LIFE. Great things happen when you enable people to view all their data in one spot. In my experience, insights are rarely accessible. Marketers often need to pull data from 12 different tools and then make sense of it all before they can visualize anything in a way that identifies actionable insights. When people start using Databox, their primary goal is to pull all of that scattered data into one place so that everyone on their team can have access to it on all their devices. In the beginning, we just focused on helping marketers visualize their key performance indicators (KPIs). 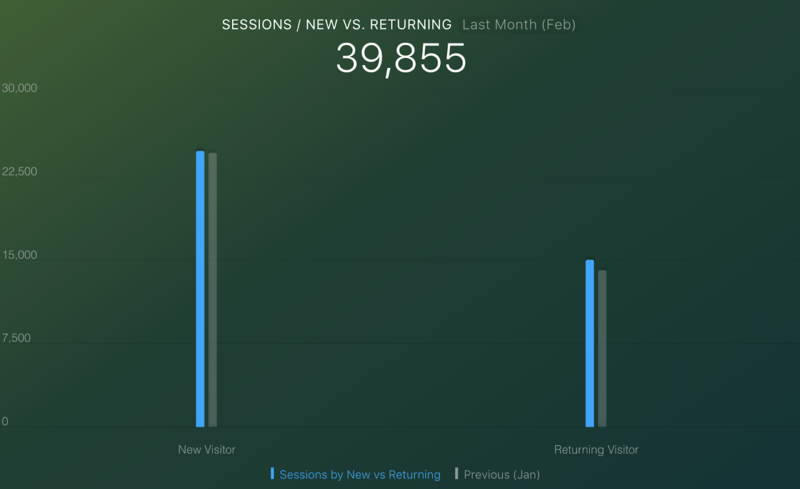 Our latest update gives users the ability to more quickly identify the reasons why metrics are (or aren’t) moving. 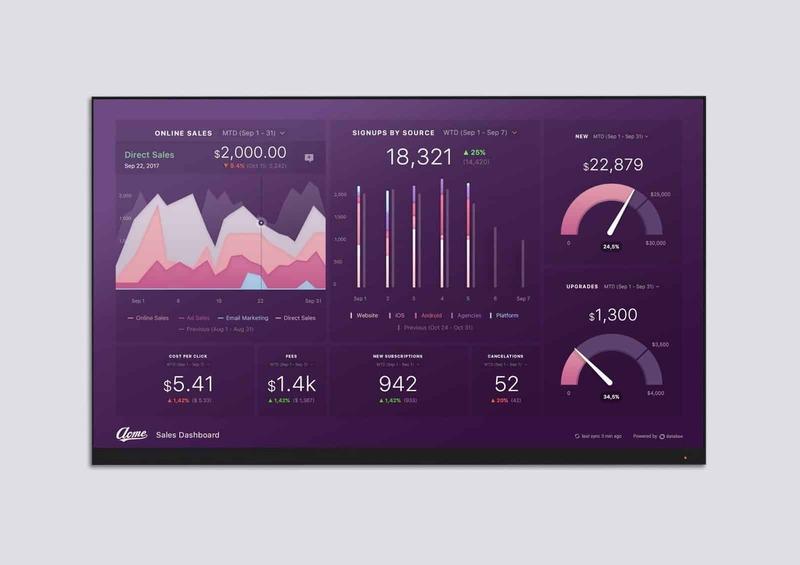 With these changes, Databox is making in-depth performance insights and analysis even more accessible (and beautiful) for everyone. Our engineering team completely reworked all the charts and graphs within Databox, so the first thing you’ll notice with these updates are the visual changes. Here are just a few examples of how your performance data now looks with just a few clicks. We’ve completely reworked all charts, graphs, and supported functionality on mobile, too. Along with the reworked charts and graphs, we’ve also added additional colors and themes so you can have more control over the look and feel of your reports. Both line graphs and bar graphs in Databox now support multi-dimensional metrics. 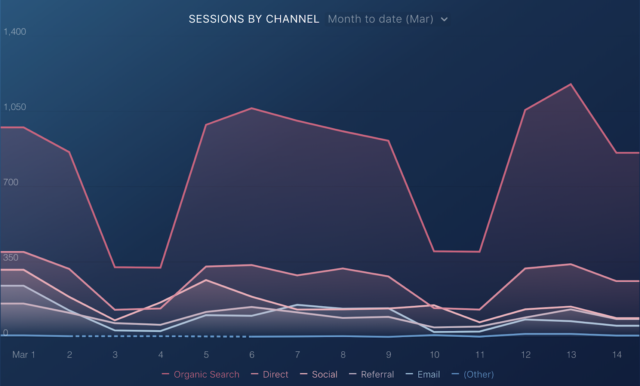 This means you can plot things like sessions by channel(s) in one multi-line graph and track daily, weekly, and monthly fluctuations in order to identify strengths and weaknesses in your strategy. 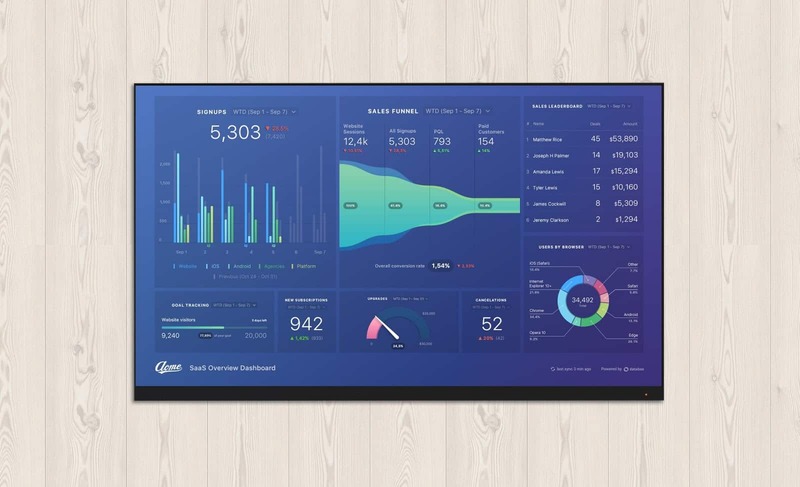 Previously you could track multi-dimensional metrics like these using a pie chart, a great visualization, however one that doesn’t allow the level of granularity to be able to identify spikes (or drops) in performance on a daily or weekly basis. 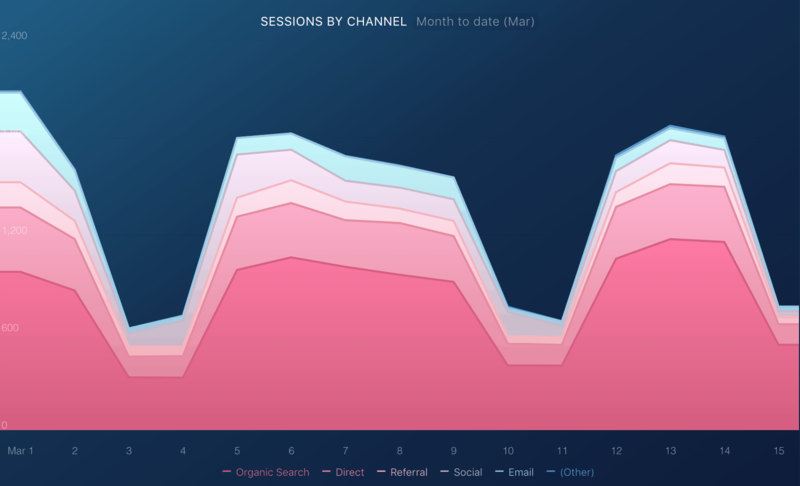 In this line graph, you’re seeing sessions by channel tracked month-to-date. As you can see, the multi-dimensional line graph provides greater insight into the highs and lows of your month. This can inspire more productive dialogue around adjustments that can be made. We’ve also added the option to select a “stacked chart” in both line graphs and bar graphs, giving you additional customization options for viewing your data. 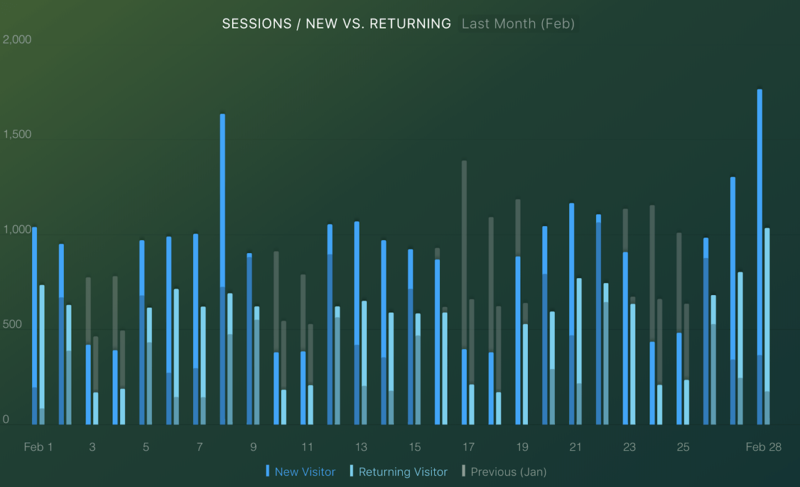 Here’s what a bar graph tracking new vs. returning visitors (compared to the previous period) looks like. 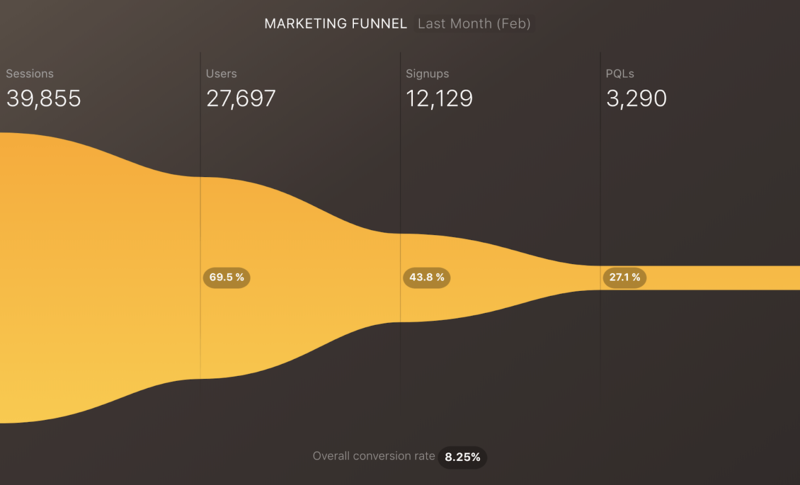 The funnel visualization has been redesigned to be a more direct reflection of conversion rates. Now you can also choose to track conversion rates in your funnel step-by-step, or from first value to conversion. 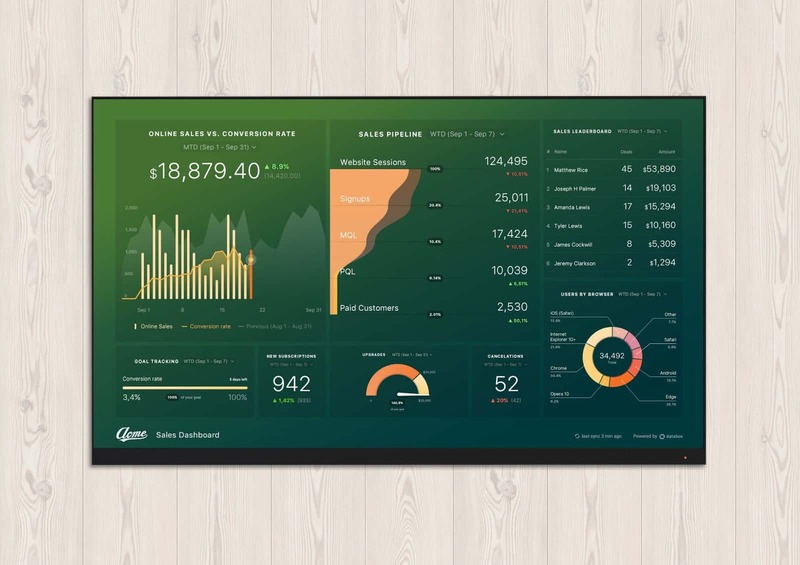 Want to see how your business performance looks with these types of visualizations? Sign up for our free account. It’s free forever and you can start tracking key performance metrics in minutes. 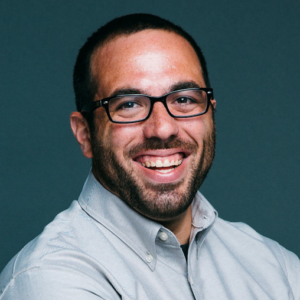 These updates mark Databox’s transition from just a performance monitoring tool to a tool that enables deeper analysis, too. As excited as we are to announce these updates, we’re equally as excited to share that this is only the first wave of updates and improvements coming to charts and visualizations in the coming months. Rest assured, though, we’re staying to true to our roots of being the “easiest to setup” and “easiest to use” data visualization tool available (according to G2Crowd). To that end, we’ll be updating our templates and pre-configured Datablocks in the next few weeks so you can just drag these new vizualiztion types onto your existing Databoards.